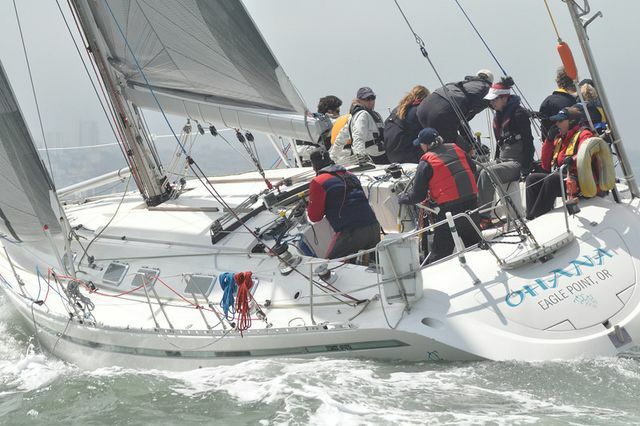 The 2012 Sarcoma Cup was held over the weekend, despite a major conflict with another major international regatta running concurrently. And then there was the America's Cup World Series event too. 50 boats spread out in 7 divisons for Saturday's 3 bouy races on the Bezerekley Flats in moderate conditions and overcast skies. Brenden Bush's "Get Happy" went 3-2-1 for a a 6 to 8 point win over Thomas Jenkins Witchy Woman in the 11 boat strong Express 27 division. 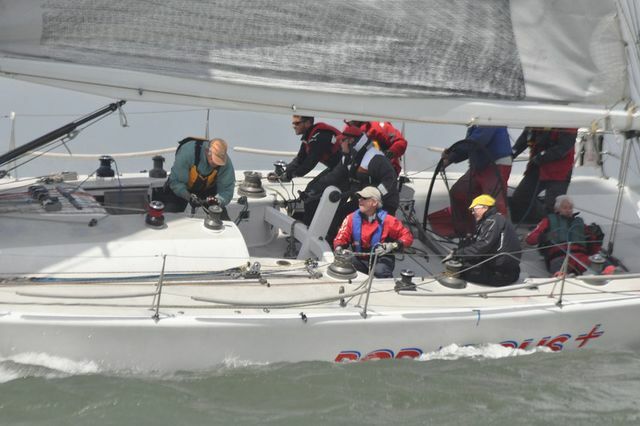 PHRF Division A was a two boat affair with only John Clauser's "Boadicious Plus" and Steve Hocking's "Ohana" showing up for the event, with Bodacious Plus going 1-1-1 to claim the prize! It was noted that Jeanette, was seen loitering around the race track off Crissy on Saturday, as were many a sailboat. 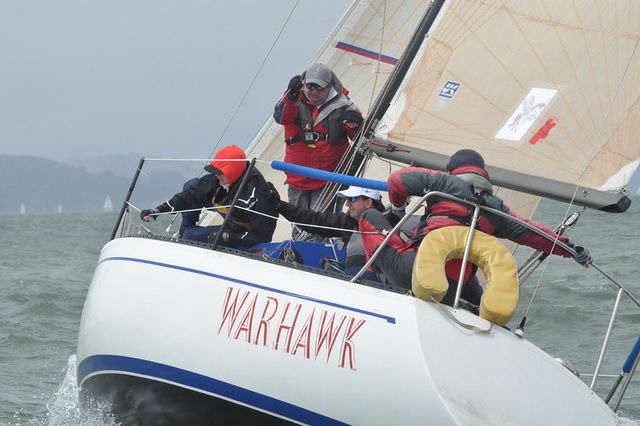 Other division winners were Richard Jepsen on "Rail to Rail" in the 5 boat J-24 class. Mark Simpson's "Shadowfax" utilized 3 straight bullets to dominate the Olson 25 class. 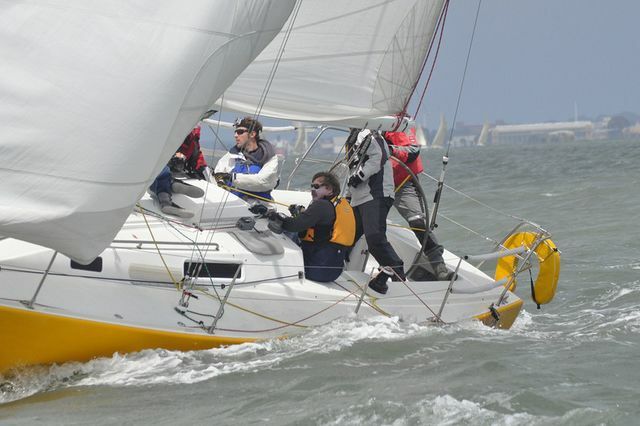 13 boats registered but only 11 raced in the Open 5-70 Class, which sailed 3 on Saturday, and 2 more on Sunday with Tom Baffico's "The Maker" going nearly perfecto on the course, with 4 Aces and 1 Duece to dominate the class. 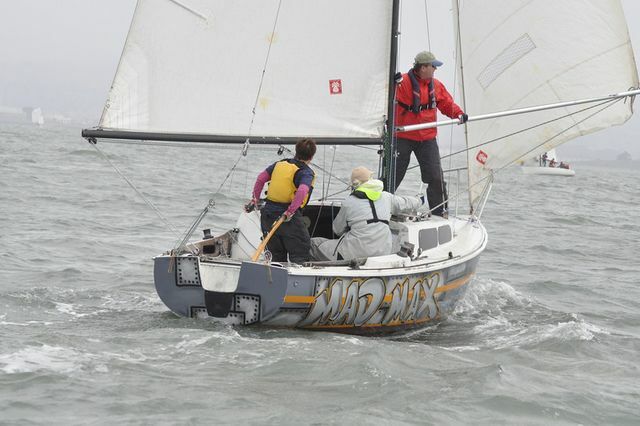 Although they finished last in the 7 boat Santana 22 Class, Megan Dwyer's "Mad Max" wins the most colorful artwork award! Frank Lawlor's "Tackful" edged out Garth Copenhaver's "Oreo" with 1-4-1 over 2-2-2. In PHRF B, Kim Desenberg sailed his Wylie Wabbit "Mr McGregor" past 8 other handicappers with a 1-1-2 record for nice trophy for his efforts!